Real estate marketing has two sides: The side that markets your listings and the side that markets your services so you can get more listings and/or serve more buyers. Both are important. In many areas today agents are focused more on the self-promotion side of real estate marketing, simply because there is a shortage of homes for sale. Working with buyers can be disheartening when there might be a dozen buyers all wanting the same house. In March, Active Rain members Sally and David Hansen sponsored a contest asking agents what new (or tried and true) real estate marketing methods they’re using to boost their businesses in 2019. Barbara Todaro, who is well known for her postcard marketing and her advice to “Market like you mean it,” has moved from 3” X 5/12” postcards to the jumbo size: 6 ½” X 9”. Her reason: They stand out in the mailbox. My thought: These jumbo cards would also be good for delivering some of your prospecting letters. We never know who will look at a postcard when they won’t open a letter, so it could be wise to mix up your mailings between the two. One agent has returned to mailing hand-written notes to past clients and her sphere. She switched to email and heard from unhappy people. Then she tried e-cards and found that only a few were opened. Some went directly to junk mail while some who received them were afraid to click because it might be dangerous to their computers. I feel the same way about e-cards. Unless they’re from someone I know and it’s someone who is likely to send an e-card, I delete the message. Once I was suspicious so wrote the person who supposedly sent the card – and he said no, don’t open it. My computer was hacked. Another agent has scaled back from a 4-page newsletter to a 2-page. Feedback from her list has caused her to segment the list and use different content for different groups. For instance, some of her readers loved household tips and puzzles while others were more interested in market reports. This is an approach to handle with care, because some sellers believe it’s nothing but a ploy to get listings. Sadly, sometimes that’s exactly what it is. The “buyer” vanishes once the listing is signed. That’s why Margaret Rome sends cards that read “from” a specific buyer. These say they like the home and ask the homeowner to contact the agent if they have an interest in selling. She also mails cards and places ads that list features that several buyers want. These features might include price range, home style, school district, square footage, etc. My 4 different sets of “I have a buyer” letters stress the “No obligation” aspect of allowing you to visit and/or bring a buyer to see the house (or land) if they do have an interest in selling. There’s nothing new about open houses and many agents don’t believe they’re an effective real estate marketing method. Others tell a different story. 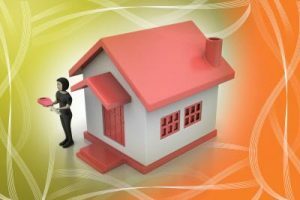 They feel that open houses are relationship building opportunities that could not only get the house sold but connect you with others who are thinking of selling. Barbara Todaro says: “The direct mail marketing postcards shake the fruit from the tree, but when the last of the crop is hanging, we employ every option possible to secure another listing.” Open houses serve that purpose for her team. Promoting the open houses is a must. There’s not much point in holding an open house if no one knows about it, so get the word out! Many mail invitations to the neighborhood, select buyers, and buyer’s agents. One agent told of her increased attendance and success due to Facebook advertising. She posts her open house invitations, then boosts the posts. In order to gain the greatest response and support from buyer agents, some say the open house should be held the first weekend. Further, NO showings should be allowed prior to the open house. A word of caution: The reason some agents refuse to hold open houses is that it can be dangerous to be in a house alone. So do this with a partner. It’s better if there are two of you anyway – since one can show the home while the other remains by the door to greet new arrivals. Blogging isn’t a new real estate marketing method, but it’s still an effective one. One agent noted that he’s getting more business from his blog since he began sharing more of his personal life. We humans are all interested in stories, and we all do like to know something of the personality of those we deal with. Another mentioned that he now posts a short version of his market reports on Active Rain or sends them in an email. The shortened version includes a link to his website, where he posts the full-length version. He says this method has been bringing more traffic to his website – good for SEO! Is there a niche of the real estate market that you really love? Then specialize! One agent is now specializing in “man caves,” workshops, big garages, and barns. He searches them out so he can help buyers, but specialization also helps him gain new listings. Another has specialized in new construction. He’s researched and visited every new subdivision and every contractor in his area. He has taken time to learn about construction so he can talk knowledgeably with buyers. He’s also now on the inside track to know about custom built homes that failed to close and are ready for occupancy upon closing. 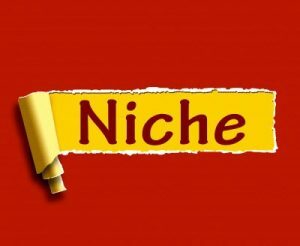 We’ve talked about niche real estate marketing many times, because it’s a good idea. When you specialize and learn all you can about that specialty, you will become an expert. You’ll be more in demand, you’ll enjoy yourself more, and you’ll earn more. 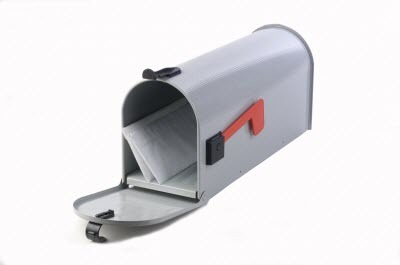 If you want niche ideas, check out the variety of prospecting letter sets I offer on my real estate prospecting letters page. Photography in real estate marketing. Even if you hire a professional to take your real estate marketing photos, they may still need a little help. 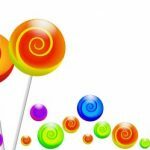 One agent alerted us to a company called Tourdrop.com. This company will do enhancements such as turning a daylight photo into a twilight photo; remove things like shadows or a toy inadvertently left on the lawn; and even virtually stage. Video is more important than ever, and agents say that YOU must get in front of the camera now and then. It seems that people want to see you, not just the home or land. To make sure those videos are seen far and wide, some suggest setting up your own You Tube video channel. This would be total Greek to me, but Kathleen Daniels’ post gives an overview plus a link to more “how to” information. Sally and David Hansen deliver sweet reminders about their service. Every six weeks they prepare seasonally themed bowls filled with wrapped candies interspersed with their business cards. Then they deliver them to reception areas at nail and hair salons, dentists’ and doctor’s offices, investment firms, and other businesses in their network. Whether you have your business name painted on your car or use magnetic signs, signs are powerful real estate marketing tools. The trick to getting the most from them is to routinely park your car where they’re visible! I recall a cross-country trip with my son and passing through an area where there were no billboards. Apparently, they weren’t allowed. Instead, we saw large trucks and or semi trailers parked strategically in the fields bordering the highway. These were painted as billboards would have been painted. Think of parking your car in a similar manner. For instance, when you visit a popular marketplace, church, or entertainment venue, try to park where you car will seen as people exit. Leave the signs on when you network with hobby groups or take part in volunteer activities. Remember Google for real estate marketing! Part of your real estate marketing is to optimize your site for organic search on Google, but do use the other Google tools. Google my Business is one, but as Bob “Real Man” Timm points out, there are more. Social media marketing is gaining importance. No one mentioned this as something new this year, but plenty of agents are benefiting from its wise use. You may be an expert, or you might be like me, with no idea how to proceed. If you need help setting up or maintaining your social media marketing, call on Chris Cliff (yep, my son). You can reach him at cliff669@gmail.com. Consistency is key in real estate marketing. No matter what real estate marketing methods you choose, remember that consistency is key. Doing something just once is barely more useful than doing nothing. So choose your methods and stick with them. It could take a little time before you see the results. Remember also that your various marketing efforts should complement each other – and everything should lead back to your own real estate website, where you can more fully showcase all you have to offer to clients.